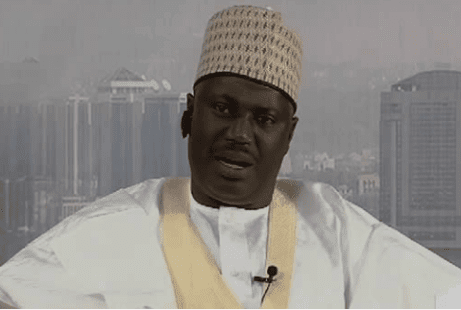 The Chairman, Senate Committee on Media and Public Affairs, Senator Aliyu Abdullahi, has lamented the constant harassment of the Senate by Nigerians, adding that the upper legislative chamber cannot disclose its salaries and allowances. The Senate spokesman also refused to state how much the lawmakers earned in salary and allowances. When asked to say how much he earned, Abdullahi said it was rude of the presenter to ask him how much each senator earned. Abdulahi said, “You don’t expect me to come out on national television to say this is what I earn. It is not done. I cannot ask you as a journalist how much you earn. It is not done. The Senate spokesman said the figures released by the Chairman, Presidential Advisory Committee Against Corruption, Prof. Itse SaGaey (SAN), were false, adding that the Senate’s budget was not even as high as what SaGaey released. He said SaGaey was only trying to cause unnecessary tension between the National Assembly and the Presidency.